IN THE PINK – IN THE FALL? When we think of fall color, pink does not usually pop into our minds: Yellow, red, even brown, but pink? Pink is the color of fall in my flower garden. I have carried the Ryan’s Pink Chrysanthemum from old garden to new. It has never failed to cover itself in pink daisy flowers. The yellow centers cheerfully shine like little suns in the late fall flowerbeds. I pinch it back during the summer months, trying to get it to remain at the 2-3 feet it supposedly grows, but it still stretches out and flops. The flops are graceful, though, and since the stems arch, buds form along the stem instead of just on the ends. It prefers full sun but will perform in half-day sun. Hardy in USDA Zones 5-9, it has bloomed through a hard freeze (27 degrees Fahrenheit) here in mid-November, and still is showing mounds of pink in the borders. Many years ago, I received this plant from a local Master Gardener swap. It is a pass along plant. If you have a Master Gardener plant sale or even a botanical garden plant sale near you, look for this beauty. I did find that the wholesale company, Monrovia, lists it in its catalog online. Since Monrovia supplies plants nationwide, you might be able to find it at your favorite local nursery. Although, their website says you can order directly from Monrovia beginning in 2014. 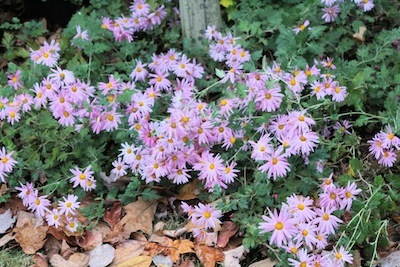 Ryan’s Pink Mum (Chrysanthemum x morifolium 'Ryan's Pink'; Synonym: Dendrathema x grandiflorum) is not a cushion mum such as those pots of color you purchase in the fall. You probably just compost them when they pass their prime. This is a hardy old-fashioned perennial discovered by the famous gardener and garden designer, Ryan Gainey, in his own Decatur, Georgia garden. Mr. Gainey is the owner of Ryan Gainey & Company. He has designed gardens not only in the U.S. but also around the world. Gainey designs public gardens as well as private oases for individuals. Gainey's garden is full of outdoor rooms and boisterous flower borders, interesting in all seasons. He is also an author and his first book, The Well-Placed Weed, is on my bookshelf. We gardeners are fortunate that he shares Ryan’s Pink with us. 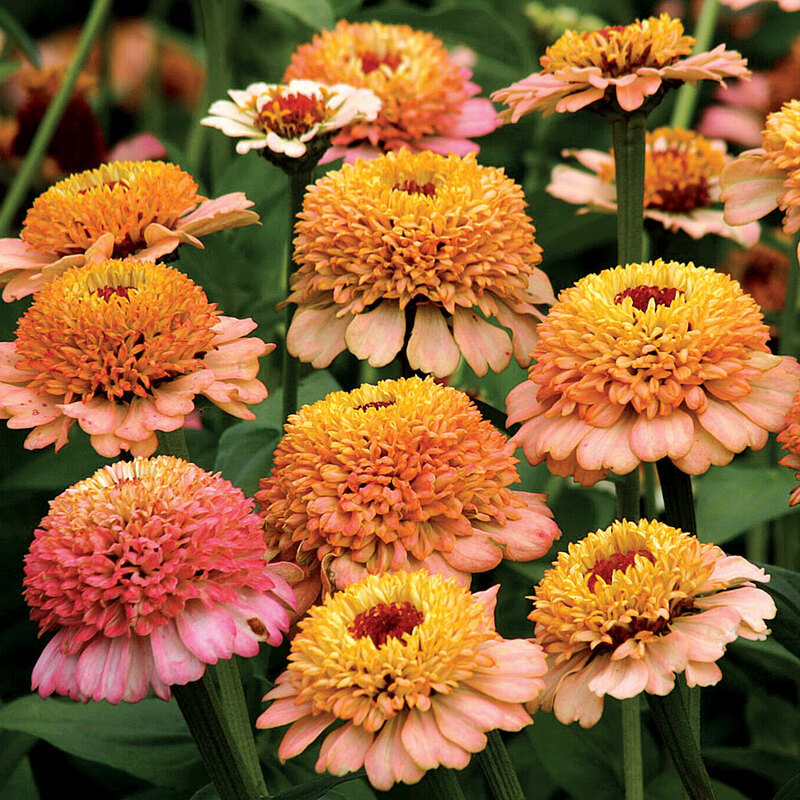 If you use Ryan’s Pink Chrysanthemum in your garden, you will find it useful, but not just for the late flowers. The foliage is decent, too, so that it can easily fill in an open spot in a flower border. Alternatively, just let it tumble through a fence or cascade down a hill. It is not for the formal garden, however. No matter how much you try to tame it, it will still look a little wild and so pretty in pink.